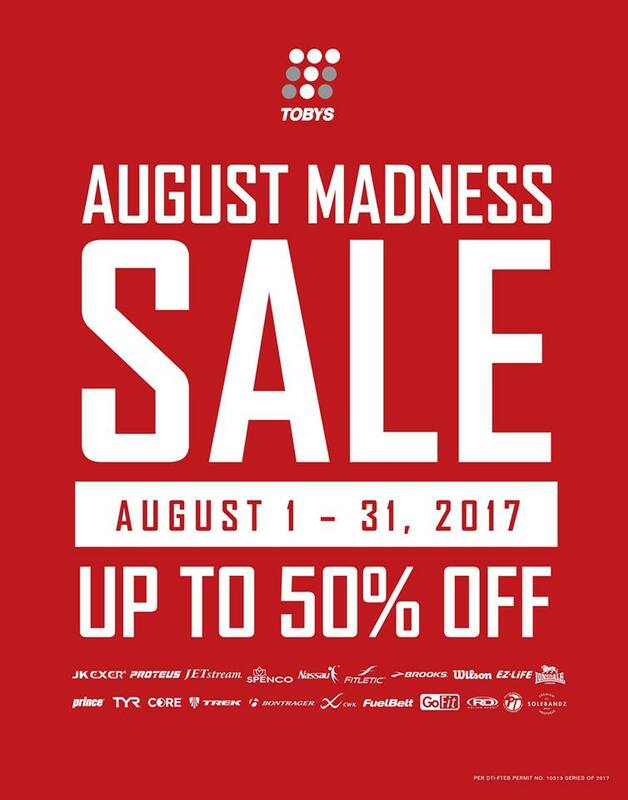 Toby's August Madness SALE happens until August 31, 2017. 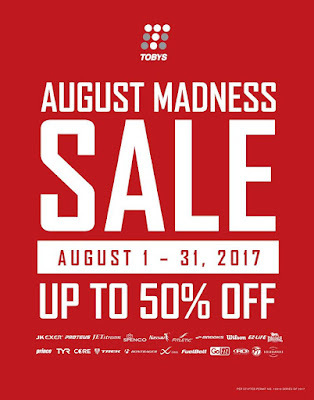 Enjoy up to 50% off on your favorite sports brands like Prince, TYR, Brooks, Wilson, and more! Head over to your favorite Toby Sports stores nationwide!